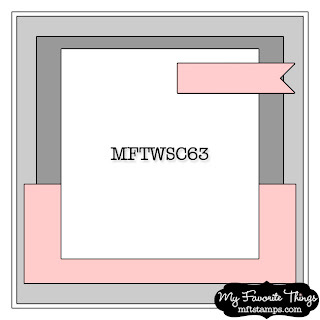 I was excited to play along with My Favorite Things, Wednesday Stamp Club Challenge. On my card I used the I Love Us, Flapper Doodle stamp set by My Favorite Things. I used Graphic 45 paper and paper pieced their clothes. Remember it is not to late to play along. Nancy, I love it!!! Wow this is so adorable. You are so creative. Another amazing card. I cant believe all the up close detail in this card. I clicked on it so I could see all the work you put into this one. Your good! Have a good day! Adorable card. Love the houndstooth. I like how you used the heart border as a banner for your sentiment. SO CUTE! What a unique image, Nancy. You did a great job with this.